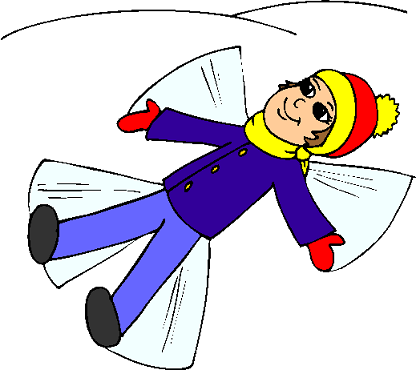 Making a snow angel is a fun activity to do when there is snow on the ground. Find a patch of clean, undisturbed snow. Lie on your back in the snow. Keeping your arms and legs straight, sweep them up and down. When you get up, there should be an impression of an angel in the snow. Your arms will have made the wings, and your legs wil have made the gown. Note: Your clothes could get wet when making a snow angel, so it might be a good idea for this to be the last thing you do before you go inside to change clothes and warm-up!